1) The Last Hour is born after the split of Gothica and a first album is out in 2008. What have been the receptions by press and by public for this new project? The reception was great after my first song released on the Cold Meat Industry sampler. My debut CD was appreciated above all abroad, because of the few promotions in Italy. But now it has finally joined the catalogue Audioglobe. 2) What is the actuality of The Last Hour? I’m working on my new CD that will be entitled “Deadline”, a boundary line that we can’t cross without dying risk. 3) As Gothica had some notoriety in dark music, I would like ask you some questions about your career in this project. Firstly, why Gothica has stopped its activities after The Cliff of Suicide album? Life is strange and people change. It was a very hard decision, but it was the right one. The end of a love story and character incompatibility were the main reasons of Gothica split. 4) Can Gothica reborn one day or Gothica was just a step in your musical quest and all has been said under this name? Do you see The Last Hour as a continuation? Gothica belongs to the past. The Last Hour isn’t a continuation, it is something totally new. It is the door towards the infinite, the unconceivable worlds, the cosmic space, the unknown. 5) Have you been involved in other bands, maybe in other style, before Gothica? Yes, I played bass in some local metal bands. 6) How is born Gothica? Have you already regretted to have chosen the name Gothica, as it’s a moniker with such homonymous and a word very used especially in dark music? Gothica was formed at the end of 1994 by Alessandra Santovito and I, when we felt a need of creating a project where we could express our artistic fondness, reflections, visions. When I thought of the name Gothica, this word wasn’t so widespread. Today, I’m not really interested in the homonyms of the name Gothica. 7) With Gothica, you have realized a video clip for the song “The cliff of suicide”. Are you satisfied from this visual experience? What do you think about “the fan clips” made by people and published on video sites like Youtube, sometimes putting personal things to illustrate songs? I think of “The Cliff of Suicide” as one of my best musical compositions. I shot it in several times by a promontory of my city. The result was very good although I realized it without professional tools. This place is wonderful for its natural beauty, its sunsets, its sea. Here some persons committed suicide creating a strange contrast. When I visit this place, I feel near to the imponderable, to the supernatural, to the spirits of the dead. About “the fan clips”, I’m glad to see the affect that people show towards Gothica. 8) Finally what do you keep in memories from the Gothica era, the good and the bad? The Gothica period was full of good memories and satisfaction. The release of our CDs and our concerts were full of great emotions. Besides, I keep in my heart the love of our fans. The bad memories was linked to the last period when Gothica split at the beginning of 2004. 9) Have you played live with Gothica? And for The Last Hour? Otherwise, is it in project? 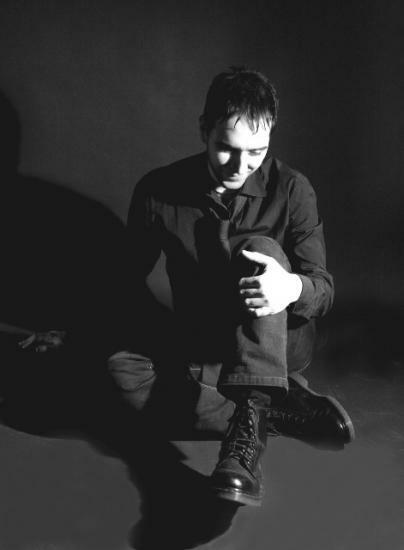 Gothica played few concerts and the most important ones were in Rome at Blackout and in Milan at Transilvania Live in 2003. The Last Hour didn’t play live, but in future, who knows? 10) The first exposure of Gothica was on the sampler “Intimations of Immortality” released by the Italian label Energeia with the song “The Land Under The Waves”. How was this collaboration with this label which worked a lot with Italian bands? In April 2000, Gothica took part in this sampler with the version of "The Land Under The Waves” taken from the demo tape “Proserpina”. Energeia was a very good label and it was a pleasure to collaborate with them. 11) You have been one of the few non-Scandinavian bands on Cold Meat Industry. You were on Cruel Moon International, the CMI division for non-Scandinavian bands between 1995 and 2005. How was the collaboration with this cult label in dark music? I sent our demo tape “Proserpina” to Cold Meat Industry and Roger Karmanik was enthusiastic of our music. CMI is a great label for experimental music and it was fantastic to join it. CMI leaded Gothica to international fame and I thank Roger Karmanik very much for this. 12) After the Gothica split, you have begun The Last Hour. The first appearance of The Last Hour was still on Cold Meat Industry in 2004 with the song “Into empty depth” on the sampler “Flowers made of snow” where there is also the first appearance of Hexperos. From the two part of Gothica, finally no one stayed on Cold Meat Industry… In the case of The Last Hour, why the collaboration has stopped? It seems CMI have lost a lot of cult bands (Arcana, Sophia, Karjalan Sissit, and recently Ordo Rosarius Equilibrio). Roger Karmanik didn’t agree with some of my musical choices and our relation became strained till the inevitable breaking off. 13) For The Last Hour, you worked with Intuition Records, a Russian label. Can you introduce us this rather unknown label. There was no Italian or well-known labels interested in The Last Hour? Have you satisfied with the package of the first album, a digipack but without neither lyrics nor booklet, far from the rich package for the Gothica cds. Other Voices Records is an independent record label based in Russia. It was born in 2007 of the ashes of post-industrial/ambient label Tantric Harmonies. Till 2009 it existed as Intuition Records. To be not confused with famous German Intuition Records as well as Intuition Recordings they have decided to change the label's name to Other Voices Records. They are specializing in obscure minimal wave, psychedelic post-punk, dark electro, minimal wave, dark wave, synth-punk, new romantic, shoegazer, dream-pop, kraut rock, ambient, acoustic, experimental, old-school industrial, etc. 15) More and more bands offer today their album in digital format and suggest a donation (lastly a big band like Mortiis). Do you see it as a good means to discover and promote music? Also there is the “savage” download; then, the Gothica demo can be found in digital format… A part of listeners still want a beautiful object and the vynil is become very fashionable in underground music. What do you think about downloading in general? I like to download music and it helps me to discover new music. But when I’m very fond of an artist, I buy their CD. If you want the survival of underground musicians like me, it’s very important that you buy CDs. 16) Why have you chosen The Last Hour as moniker for this new project? As for Gothica, this name has a lot of homonymous (for example films) so for example on Internet, pages dealing with “the last hour” are not very visible. 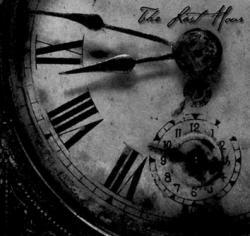 The name “The Last Hour” represents my death wish, but also my rebirth. It is the fight between illusion and reality, life and dream. Like in a black and white photography, lights and shadows intertwine to draw infinite arabesques of love and death among the paths of restlessness. 17) You have also another project called Les Jumeaux Discordants with Aima. The name of this project is really personal and enigmatic… How was born this project? In 2005, I went into the magic world of Aimaproject and I was fascinated by it. Aimaproject is a project born in 1996 and it works in various expressive fields: poetry, photography, music and multimedia. She comes from neofolk and she works with many musical projects. I found interesting the idea to combine my music with her interpretative capacity at once. The combination of our “discordant” styles gives birth to something unique, particular. 18) Can you introduce Les Jumeaux Discordants (We will make an independent interview with more questions about this interesting project…)? Les Jumeaux Discordants presupposes a strong interaction between poetry, image and music. There’s even a bent for the cinematographic transposition of the visionary poems, about the various range of human feelings. Nevertheless, Les Jumeaux Discordants is ascension, it is the coscience of earthly, a coscience which is turned to the overcoming of the human miseries, made by the unique instruments which are still free: mind and spirit. 19) Aima is also involved in guest with The Last Hour: she makes vocals on “Chanson d’automne” and she has written lyrics for “Feelings”. Will there be more collaboration with her for the next songs? Can The Last Hour and Les Jumeaux Discordants become one band? No, Aima will not take part in The Last Hour’s next songs. The Last Hour and LJD are two projects well distinct although some old songs were born in the same period and some sonorities are similar. 20) Back to The Last Hour and the first album. Is the song “Death in Venice” a tribute to the novel from Thomas Mann or its cinematographic adaptation by Visconti, or it’s a particular tribute to personal feelings about atmosphere in Venice? I visited Venice several times and I love the magic and the beauty of this city. It inspired me for this track and the title is a tribute to the wonderful novel of Thomas Mann and the film by Visconti. Besides, the photo by Aimaproject in the artwork was taken in the Doge’s Palace. 21) You have made a cover of Joy Division for the song “New Dawn Fades”; really strange, not as cold as the original, more atmospheric but with electric guitars. This song sounds really different from the rest of the album. Will the next songs sound in this way? “New Dawn Fades” is my tribute to Ian Curtis and Joy Division. It’s a song with great emotional intensity that touch deeper and inexplicable abysses of human being. The new songs will have a new sound, very different from my debut album. In some new songs I’m collaborating with the guitarist Claudio “Old Boy” Carluccio, my great friend. I think there is much confusion in nowadays scene. There are too much musical projects and it’s very difficult to listen to all. Because of this fashion, a lot of people are attracted more from the esthetic of the genre than from the music. 23) There were a lot of cultural references in Gothica, with a lot of paintings used sometimes also by other dark bands. In The Last Hour, you use a Verlaine poem and samples from a Bergman movie. Today mass culture tends to substitute itself to the “glorious culture” from the past. Dark music uses a lot of cultural references and there is something which is called “the gothic culture”. Do you feel involved in this gothic culture, do you see it as a first step in into the “great” culture or finally is it not a trap with frontiers giving only taste codes for a group of people? I like Gothic for cultural reasons and for its artistic aspects such as painting, sculpture, architecture and literature. But now I don’t feel involved in the Gothic culture. My music comes from the depth of my soul. Through music, I communicate with the universe expressing my emotions. This is the essence of my compositions. 24) Something to add? Thanks for your time.